Bright golden amber color. Musty, spicy aromas and flavors of marzipan pastry, spiced cherry, and sesame candy with a glycerous, tangy, medium body and a polished, complex, long finish imparting accents of chocolate orange peel and cherry, almond frosting, and pepper finish. A vibrant, flavorful amaretto. 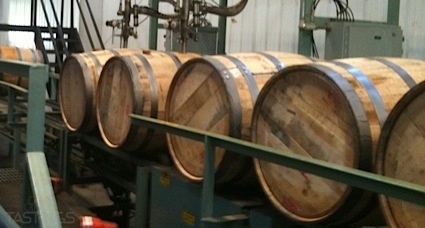 Bottom Line: A vibrant, flavorful amaretto. Nut liqueurs have been flavored with the addition of hazelnuts, almonds, pecans and other nuts, usually along with other spices. Most are brown or amber in color; some are dry, some sweet. They are normally in the 18% to 25% alcohol range and are served neat as after-dinner liqueurs. 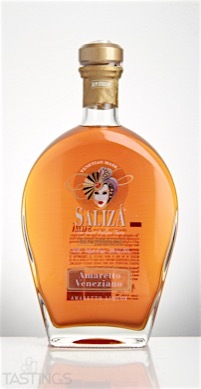 Saliza Amaretto Veneziano rating was calculated by tastings.com to be 91 points out of 100 on 10/25/2016. Please note that MSRP may have changed since the date of our review.